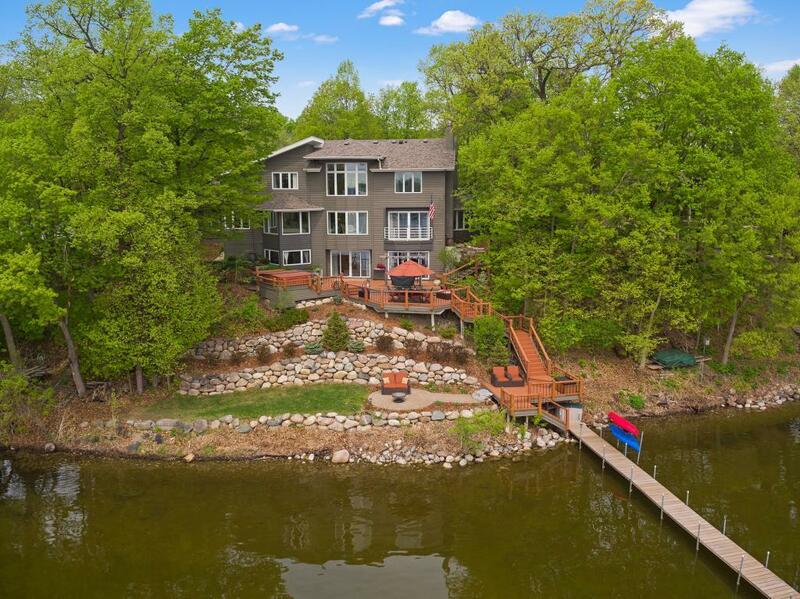 140" of prime SE facing lakefrontage on a fully recreational 900+acres of great water w/views of DT Mpls.This soft contemporary home is one of the nicest to become available on Medicine lake in a long time. Meticulously maintained, refreshed and remodeled over the years, you can move in and enjoy your summer! 5 Brs, 5 Baths, Theater and wine rooms and lake views from almost every room. Multiple outdoor entertaining areas inc. hot tub. French Reg. Pk & trails from n'hood. 20 min. to DT MPls.